Nectar Services Corp., the leader in the development and deployment of proactive unified communications network monitoring and performance management software for the voice, video and collaboration market, today at Enterprise Connect launched its Nectar 10 solution, the most powerful and easy-to-use performance management, monitoring, diagnostics and reporting platform. The solution is purpose-built for the unique characteristics of voice, video and real-time collaboration applications, and enables enterprise businesses and managed service providers to harness the power of the cloud to streamline the management of modern communications applications and services, and ensure optimum user and customer experiences. "While many businesses have been cautiously evaluating the adoption of enterprise cloud computing platforms, the market is about to enter a boom where that adoption will spike. Not only are cloud applications for word processing, presentations, sales and productivity becoming more attractive to enterprises as they look to improve collaboration across teams, departments and locations, but the ease of management that cloud platforms deliver is undeniably appealing to IT operations," said Rich Costello, Senior Research Analyst at IDC (News - Alert). "Platforms built in and for the cloud will bring a new level of value and functionality to voice, video and collaboration networks by simplifying the deployment and management of these UC environments." 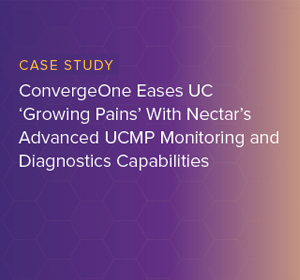 "Some IT management vendors still believe that with great power comes great complexity-with Nectar (News - Alert) 10, we are disrupting that paradigm," said Joe Fuccillo, CTO at Nectar. "Our mission is to enable enterprise IT operations and our partner community of managed service and solution providers to provide great user experiences with easy-to-use monitoring, diagnostics and reporting tools that are built for modern, multi-vendor hybrid voice, video and collaboration environments." Traditional solutions for monitoring communications platforms and networks including Cisco, Microsoft and Avaya (News - Alert), feature broad and generic toolsets that can be used for any number of different IT workloads, leaving support for critical voice and video applications as an afterthought. 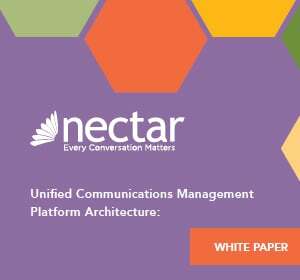 Nectar 10 is purpose-built for the unique, session-based nature of voice, video and real-time collaboration services, addressing the specific needs of IT operations teams responsible for managing the user experience across these communications environments. The Nectar 10 platform will be available for new and existing customers in April 2019. The initial release will support Cisco (News - Alert) collaboration deployments with additional support for Microsoft and other vendor environments to be added shortly thereafter. Nectar 10 will be showcased at Nectar's booth #927 at Enterprise Connect, March 18-20, 2019, in Orlando, Fla. Additionally at the event, Nectar's Tom Tuttle (News - Alert) will participate in the session "UC Management Tools: Keeping Up With Today's Needs," on Wednesday, March 20, at 4:00pm EST. 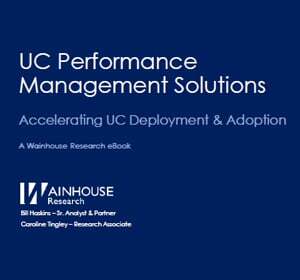 He will help explore the critical elements needed to ease UC monitoring and management pains and keep enterprise communications environments most efficient.